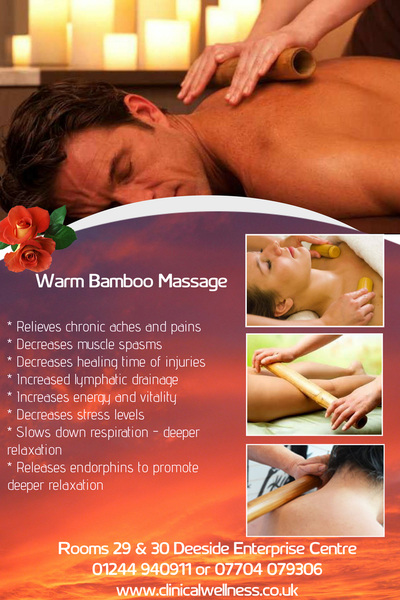 This is a unique style of massage involving the use of heated bamboo rods. The therapist uses the rods to knead and smooth out any muscular knots that have built up and this provides a great deal of relaxation to local tissues. An incredibly relaxing sense of calmness. Our new G5 massage treatment incorporates the use of a G5 mechanical Massage machine which vibrates vigorously to stimulate deep blood flow & circulation. 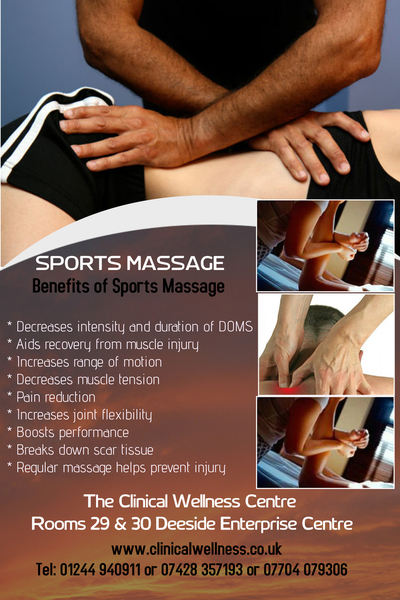 G5 Massage is a mechanical treatment that goes much deeper than the therapist can. Full information on this treatment is available by clicking here. 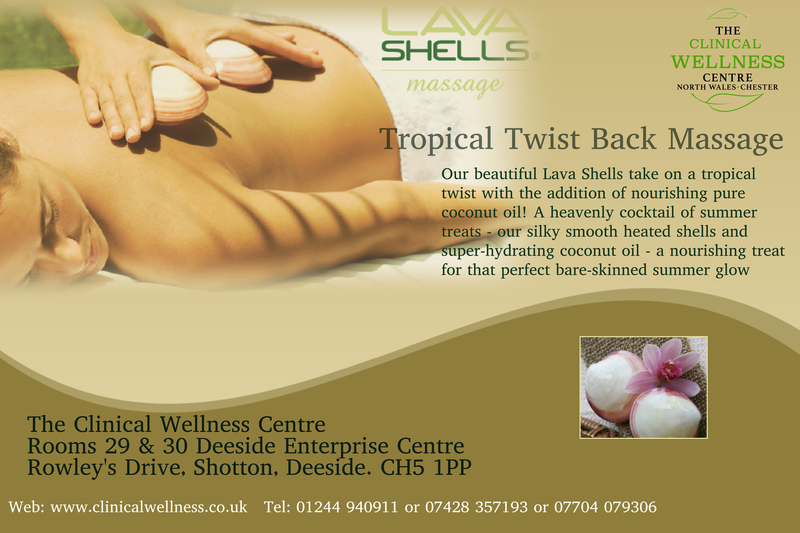 Our Lava Shell Massage uses self heating technology to heat smooth Lava Shells that are then used to give a highly relaxing massage with the added benefit of natural mineral warmth. 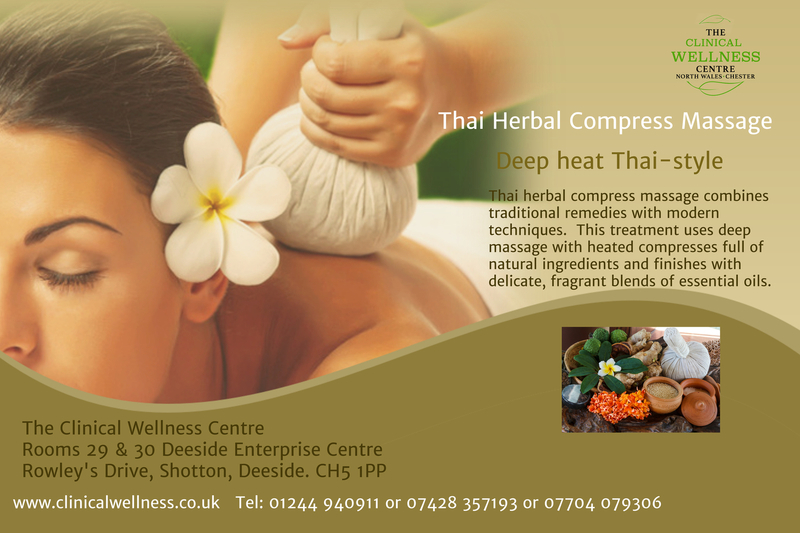 Thai herbal compress massage combines traditional remedies with modern techniques. This treatment uses deep massage with heated compresses full of natural ingredients, and finishes with delicate, fragrant blends of essential oils. Research has shown that in people with osteoarthritis and muscle pain, Thai herbal compress massage was an effective alternative option to use of NSAID pain killers (such as ibuprofen, aspirin and paracetamol), especially for those people who don't want to take NSAIDs or who experience negative side effects when taking NSAIDs. Two of these research papers can be viewed here. Research Paper regarding the efficacy of use of the Thai herbal compress in those with osteoarthritis and muscle pain. Second research paper regarding the efficacy of Thai herbal compress in those with osteoarthritis and muscle pain. Our oncology massage uses a light touch which is suited to those who are undergoing cancer therapies, and those who have been declared cancer free but require a lighter touch due to skin sensitivity. Light touch massage is suited to those with skin sensitivity, and thin/delicate skin. It is suitable for those who are elderly, and those with skin conditions such as psoriasis and eczema. Tui Na massage uses Chinese techniques either as a stand alone medical massage or in conjunction with other techniques such as Acupuncture. It is a manipulative therapy designed to move energy around the body. Tui Na is widely used in both musculoskeletal conditions such as injuries and also in other conditions. Techniques depend on the condition being treated and the client's requirements and can range from gentle brushing of the skin through to vigorous movement.